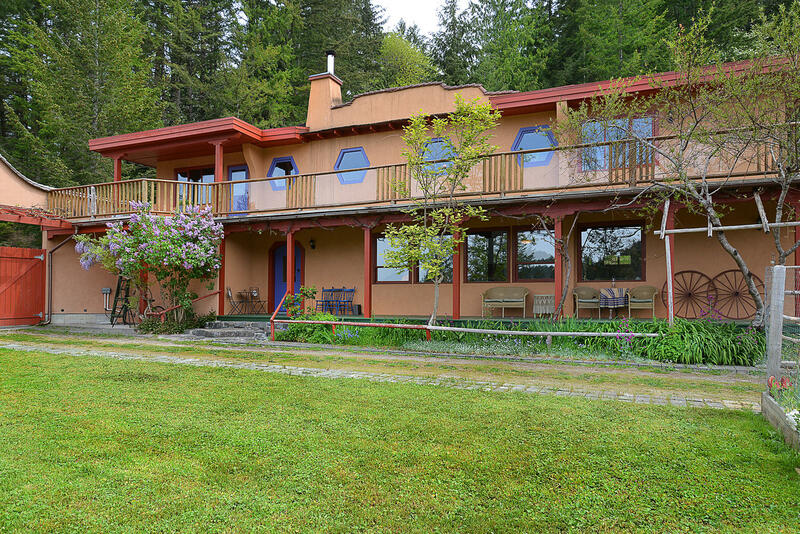 An Italian inspired casa overlooking Gunboat Bay in Pender Harbour. Almost 10 acres of prime growing land in a micro climate. Almost 2 acres of south facing vineyard. Large enclosed vegetable garden and many fruit trees. The 4/5 bedroom house is open and inviting - great for entertaining with a lovely courtyard, pond and hot tub off the kitchen. There is also a 5 stall barn complete with a heated tack room. Hundreds of kilometres to ride or hike. Nature and wildlife abound. Too many features to list. Call for a complete info package.